Loved ones can grow stronger or heal faster if showered with some tender loving care. Send your warmest wishes with this gift package priced within budget at only $90. 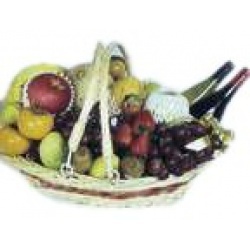 It consists of the finest 2 bottles of wine and only the freshest, excellent-variety assorted fruits like grapes, apples, oranges, strawberries, melon, bananas, and more, arranged elegantly in a basket. 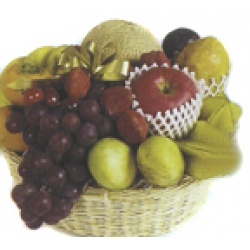 This gift package is ideal for Get-Well-Soon occasions, Christmas, and occasions for Fruits and Gourmet Baskets. For beloved family or friends with a big heart and just as hearty appetite, a merry season is the perfect occasion to throw a mouthwatering feast of great food. Send your holiday wishes with this gourmet basket filled with more than enough quality grocery items to make a satisfying eventful dinner, all priced within budget at only $65. 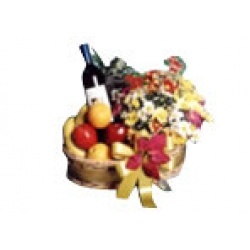 This gift package is ideal for Christmas and occasions for Fruits and Gourmet Baskets. Send your heartwarming wishes with this gift package that goes for an affordable price of only $78. 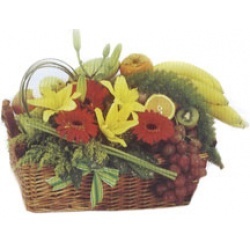 It includes only superior-quality assorted fruits, the finest bottle of wine, and the freshest, premium-variety assorted flowers, arranged elegantly in a basket. Loved ones become stronger when showered with gifts as dear as life itself ? like attention and affection. When you fill a home with health and happiness, you nourish the family's body and spirit. 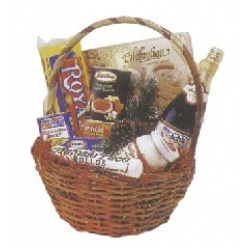 Send your Yuletide or well wishes with this premium christmas basket at a reasonable price of only $135. 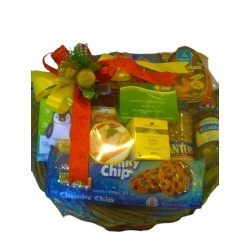 This gift package consists pasta, pasta sauce, ham, quezo de bola, wine, cookies, chips, cookies, tea, pate in a pretty basket. 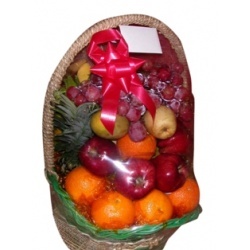 This gift package is ideal for Christmas, Get-Well-Soon occasions, and occasions for Fruits and Gourmet Baskets.